Ha! 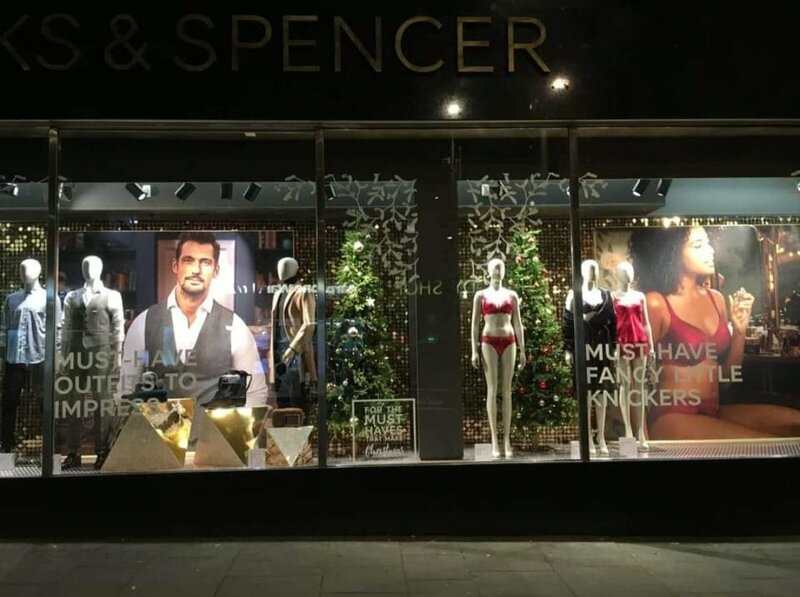 Apparently, for retailer Marks and Spencer, its Christmas must-haves are – for men: ‘Outfits To Impress’; and for women: ‘Fancy Little Knickers’. WTF?! Have you seen the weather?! That really won’t keep me warm in a meeting! Joking aside, what an antiquated ad campaign for 2018. It’s especially tone-deaf to the current tidal-wave of demands for and activity around equality. M&S needs to stop playing up to clichés around the male-gaze and a woman’s ‘place’. Put simply, they need to do better. Much better.